Interested in making any room in your home look larger? It’s simple. 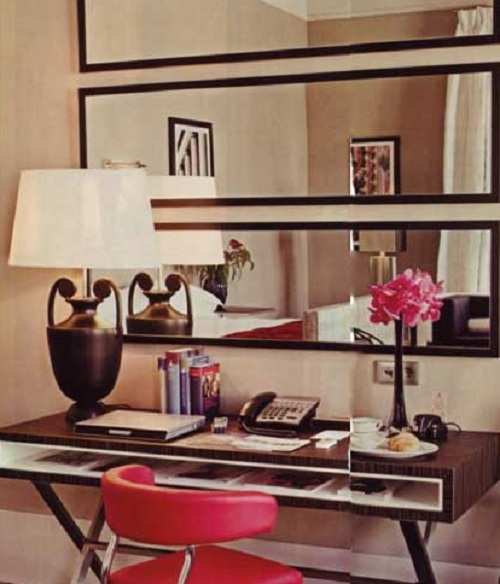 Incorporating mirrors in a room can make a room look bigger than it appears to be. Mirrors not only reflect the opposite wall, but they can also help bring more sunlight into the room, which will make it look much bigger. 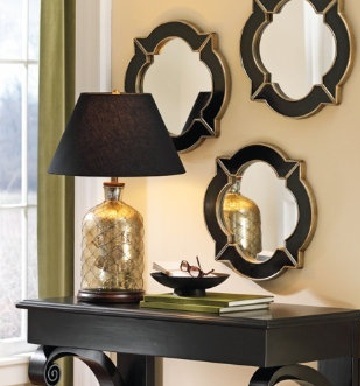 Mirrors come in wide varieties of sizes and prices; so select one within your budget and have fun decorating! Remember, placement and location are key. 1.) Want to have longer looking walls? Take a vertical mirror and turn it on its side. It will instantly make the wall stretch. 2.) Fake a window in your home. We all dream of more windows to place in our home. Have you thought about using small square mirrors or tiled mirrors to give the illusion of what you wish was there? Perfect idea for a basement as well. 3.) 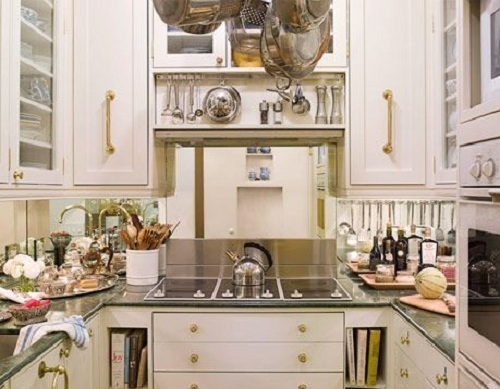 Does your kitchen look a little small? Add mirrors as backsplash or behind the stove to add depth to your kitchen. Also, if you add a mirror behind your stovetop, it will bounce any available light. This will also make it easier to see the meal you’re cooking. 4.) Group mirrors together. Since larger mirrors tend to be a little on the pricey side, decorate your wall by using multiple small mirrors. 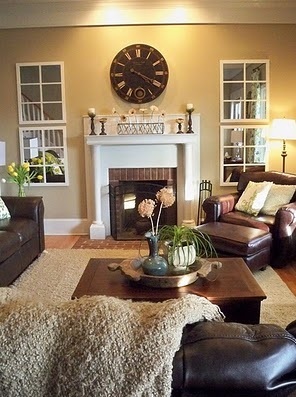 You can always paint the frames the same color or group them on the wall in the same location. The key is to keep them organized without looking cluttered. 5.) Start from the floor! Floor length mirrors are perfect for making the room look taller. You can place them behind furniture, or put them out on their own for everyone to see. How did you hang the door mirrors on the wall? What did you use? Hi Laura. We hope you liked the blog post! We recommend using a sawtooth picture hanger. Thanks!